This is also the reason only a small additional volume of water is needed: for every one hundred kilometres driven, only a few hundred millilitres are necessary. As a result, the compact water tank that supplies the injection system with distilled water only has to be refilled every few thousand kilometres at the most. 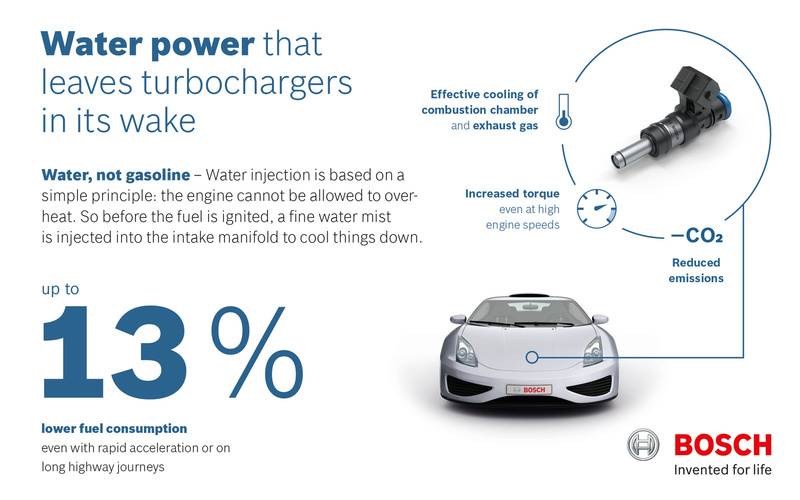 And if the tank should run empty, there is nothing to worry about: the engine will still run smoothly – albeit without the higher torque and lower consumption provided by water injection. The BMW M4 GTS is the first production vehicle to feature an innovative and ground-breaking water injection system. In the vehicle’s turbocharged six-cylinder engine, it offers improved performance and consumption even at full load. Bosch supplies water injection parts for the BMW M4 GTS. No. No water is left in the combustion chamber. 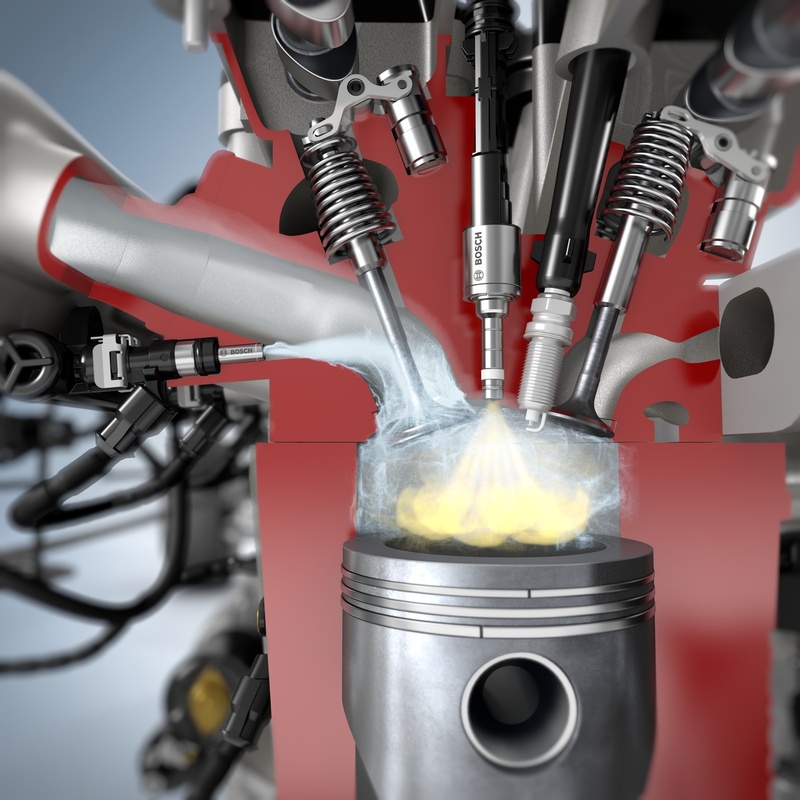 The water evaporates before combustion happens in the engine. All the water is expelled into the environ-ment, together with the exhaust.